Maine Rafting Trips on the Kenenbec, Dead, and Penobscot Rivers and Maine Adventure Trips. A Maine Adventure Vacation Outfitters Company. 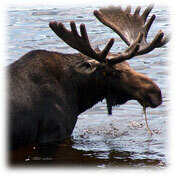 North Country Rivers - Your Maine Adventure Outfitter Company. 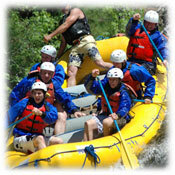 About White Water Rafting Maine Rivers, Rafting and Camping (tent and RV) and Maine Cabin Rentals Packages. 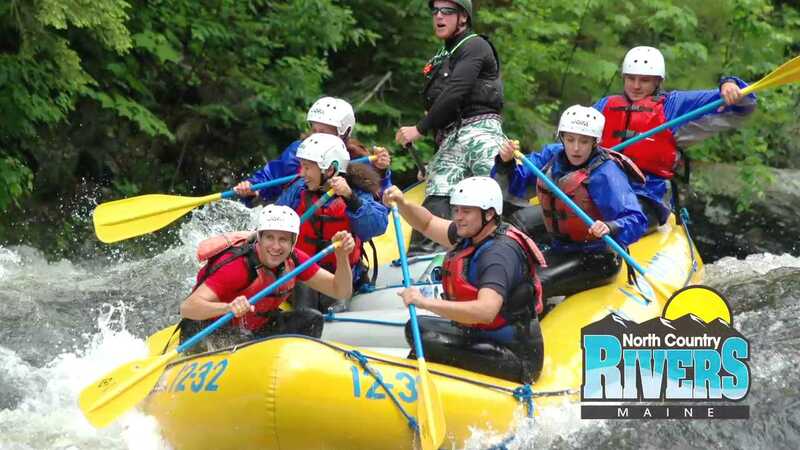 Know as a leader in rafting Maine rivers and as an adventure vacation outfitter and resort company since 1983, we pride ourselves in rafting Maine rivers. We begin our Maine white water rivers trips in April, and end in October. We specialize in running Maine rafting trips on the Kennebec River, Penobscot River, and Dead Rivers. In addition, we pioneered multiple-river whitewater rafting trips - where you can raft multiple rivers, or just one river in a single day. You can also choose to run TWO different whitewater rafting rivers in two days. Best of all, our Maine white water rafting rivers are all dam-controlled. This means you can be sure of a great trip - whenever you schedule it! Finally, we offer rafting and camping, Maine cabin rentals, RV camping packages and custom video production of your entire Maine adventure vacation (see the link below for a video covering this service). Below is an "in the raft" video of Maine Kennebec River white water rafting. Notice the smiles "beaming" from every rafters face! For more information on Maine rafting, visit our Maine white water rafting information page - and then check out our other videos (see links below)! 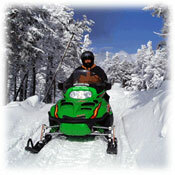 About Our Maine Adventure Vacation Resort and Other Maine Adventure Vacation Outfitter Trips. It's always been our goal to remain Maine's #1 adventure vacation outfitter company and resort. That's why we have Maine's largest and "most complete" adventure vacation resort complex (at nearly 60-acres). It has a restaurant and pub, a main lodge, a retail store, a game room, a family-sized hot tub, showers, washrooms, walking trails, outdoor games areas, cabin rentals, cottages, log cabins, tent and RV camping areas. We also have T-3 powered Wi-Fi Internet access and CABLE TV inside our main lodge, and in all of our Maine rental cabins and cottages. We also have reception in almost every area within our tent camping and RV camping areas. In addition to our great facilities and white water rafting trips, we also offer Maine ATV tours and rentals, and winter snowmobiling. 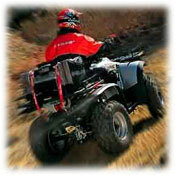 We're located right "ON" Maine's massive ATV and snowmobiling trail networks for the ultimate in convenience. You can also enjoy hiking and scenic walks, rent a bike, take a Maine Moose and wildlife watching safari tour, or go fly fishing. In addition, since we're only 30-minutes from several of Maine's larger cities, you can take your family or a group to a movie, go shopping, or just look around the area. If you have additional questions regarding our many Maine adventure vacation trips, lodging accommodations, and our youth, scout, college and group Maine adventure vacation specials and packages, then speak to one of our friendly Maine adventure trip planning specialists at 800-348-8871 (toll free in the USA and Canada). And don't forget to look over our Maine adventure vacation specials page to find a great deal! Why a Maine Adventure Vacation with North Country Rivers? We Run the World Class Maine Rafting Trips on Maine's Top Rivers - for "The Thrill of a Lifetime"